When I finally gave up trying to buy my father the perfect Birthday and Christmas presents I bought him a box of chocolates, his face lit up with delight "thank you, no one ever gives me chocolates!" He exclaimed with delight. When I gave him a box of Prestat Napolean III truffles again his eyes lit up and all he said was "Ooh" in soft cooing tones and ate one, then a second then put the box away. They were the only chocolates he never shared but the satisfaction of giving the perfect gift was delicious. Nearly as delicious as eating truffles straight from the production line at the Prestat factory where they create chocolate magic on a daily basis. I met Nick Crean co-owner of Prestat a chocolatier who has entered into literary myth via the lascivious Uncle Oswald by Roald Dahl who plied his romantic conquests with these indulgent chocolate delights to guarantee the seduction process. This is not Charlie's adventure land, this is a place where adults chocolate dreams come true. 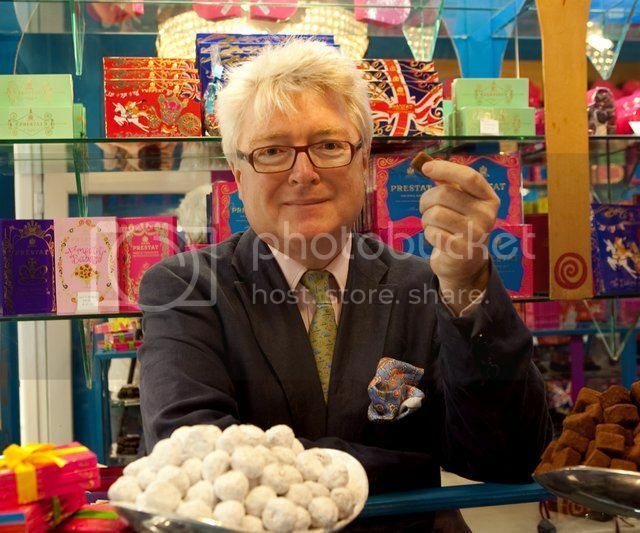 Nick's back ground as a film maker and advertising creative, his brothers expert accounting skills and a life long love of chocolate meant that when Nick turned 40 and was looking for something more long term to invest his talents into coincided with Prestat coming up for sale. Since then they have not looked back. 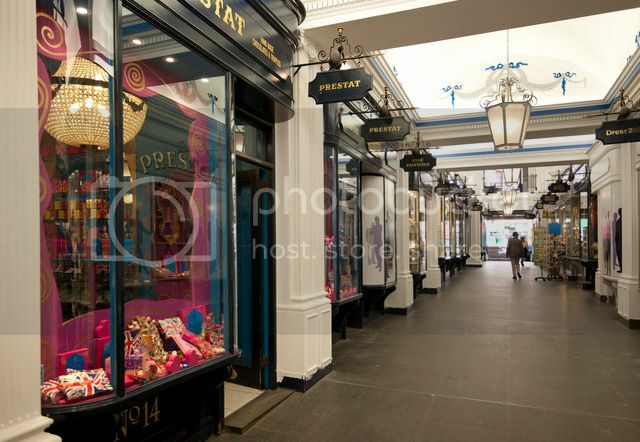 Prestat was opened in London in 1902 by a French chocolatier Antoine Dufour, whose family had invented the chocolate truffle back in 1895 in Chambery, France. 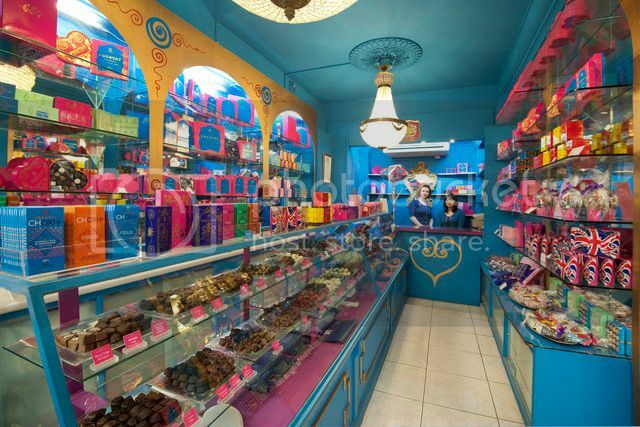 When they took over the shop the brothers found papers that revealed more about the history of Prestat and the Dufour family but even more wonderful was the discovery of his original recipes for caramels, fondants creams and other sweet delights. Dufour had a been a chocolatier célèbre making chocolates for the celebrities of his age including a special violet cream for the legendary actress Sarah Bernhardt. Their flagship store in the Burlington Arcade still sells those fantastic Napoleon III truffles named by their inventor after the gluttonous French Emperor and all the classic chocolates but the brothers have unleashed their creativity to create new classics such as their Sea Salt Caramels. Nick takes me through the labyrinthine factory and urges me eat one as he impishly snaffles one himself. They are truly delicious. As you break through the chocolate shell when the caramel flows out that gives you a little moment of heaven, nick must eat one a day yet still I see his face melt with cocoa fuelled beatification. "People forget that chocolate is a truly romantic product," he says as he leads me to one of the larders. "There is cinnamon from Sri Lanka, Rose oil from Turkey, ..." He lists the exotic lands of origin from whence the flavours come from including Norfolk peppermint and Frankincense from Oman, and lovely Normandy butter and not forgetting the home of chocolate, they source most of their chocolate from the big suppliers such as Valrhona preferring African chocolate. They support local workers via project called Esoko. This simple text based information service empowers local growers with market prices for their product, this means that they can bargain a good price for themselves. 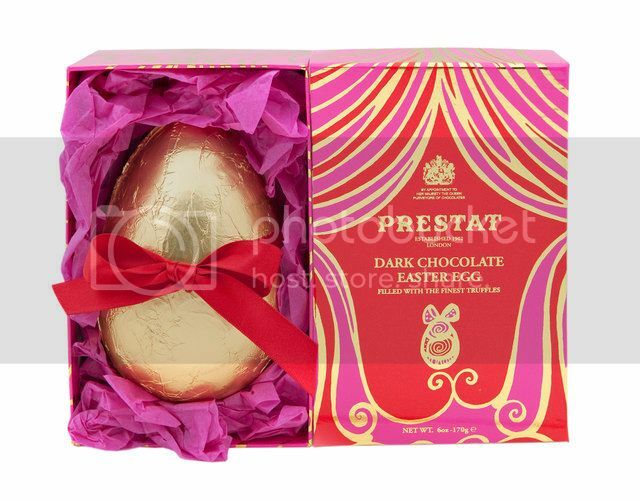 The new Prestat would doubtless astound it's French chocolatier founder, yet seem very familiar. There are large pans full of melting chocolate and despite an array of fascinating machines machines much of the work is done by hand with expert chefs blending this magic liquid into chocolates for modern tastes. On entering the main production kitchen nose assailed with the sweet smell of a batch of banoffee truffles which are being made. I am shown everything from melting to, the magic dusting machines. It's a happy place filled with the hubbub of people doing a job they enjoy. At each station I am offered another sweet delight including a memorable rose and milk chocolate thin. The creative process is ongoing, their latest triumphs are their interpretation of Red Velvet which was developed in tandem with a theatre director and his wife. The sour raspberry dust on the outside contrasts the milky sweetness. My favourite innovation has to be the Black Forrest Truffle tasking me beck to childhood and Sunday lunches and holiday dinners in Welsh hotels but with the adult kick of real Kirsch. Talking with Nick it is apparent that he loves coming to work every day and is man imparts his sense of joy to his staff and to every aspect of the business including the theatrical design of their boxes and wrappers created wit Far East customers would happily queue for their green tea thins and For lovers of a good Gin and Tonic they have created a white truffle with popping candy which comes in Easter Egg form too along with a magnificent range of chocolate delights including chocolate filled real eggshells in coloured polka dots that dance before your eyes. Prestat are sold at Harrods and other good quality stores but you can buy directly online from their www.prestat.co.uk where you can also read more about the rich history of this very British, French chocolatier. Fashion Fox met Nick Crean, co-owner of Prestat a chocolatier, who has entered into literary myth via the lascivious Uncle Oswald by Roald Dahl who plied his romantic conquests with these indulgent chocolate delights to guarantee the seduction process.This is not Charlie's adventure land, this is a place where adults chocolate dreams come true.